Many New Yorkers wait in line at the Halal Guys for a taste of the Middle Eastern fare (lifeaboardthetravelingcircus.com). Before you get back into the school year groove, take a moment to experience what New Haven has to offer. The New Haven Museum and the Halal Guys restaurant are just two examples of the rich cultural experiences right here in the city. From now through September 10, the New Haven Museum will continue to display works created by six refugees in the exhibit “Stories from Near and Far: Refugee Stories in New Haven.” The pieces, which range from photographs to paintings to sculptures, encapsulate the perils of their past experiences and their resiliency in moving to a new city and new country in the wake of political strife. One of the artists in this projects, Moussa Gueye, was arrested in his home country of Mauritania after condemning the mistreatment of blacks, for he spoke against the government. With the help of IRIS (Integrated Refugee and Immigrant Services), these artists have escaped persecution in their home counties of Iran, Iraq, Mauritania, and the Republic of the Congo, and have found a home in New Haven. The iconic Halal Guys food truck in New York City will open up a restaurant on September 9 in New Haven. 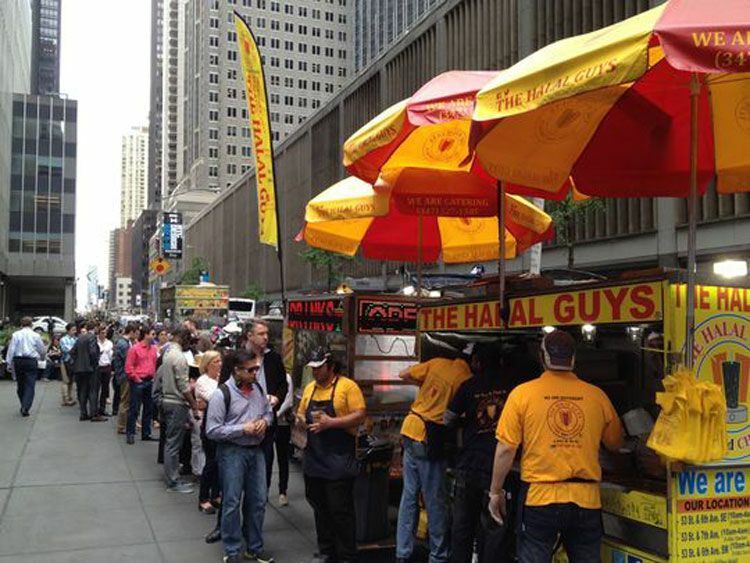 Known for its spectacular and low-priced Middle Eastern cuisine and their famous white sauce, Halal Guys has drawn block-long lines at their truck and are expected to do the same in New Haven. Jack Yeung, who owns the franchise, said to Total Food Service, “Even while we were under construction, we had people knock on the door to find out when we will open. It’s very exciting!” The Halal Guys will be open from 11am to 11pm for the first few weeks after opening at 906 Chapel Street.